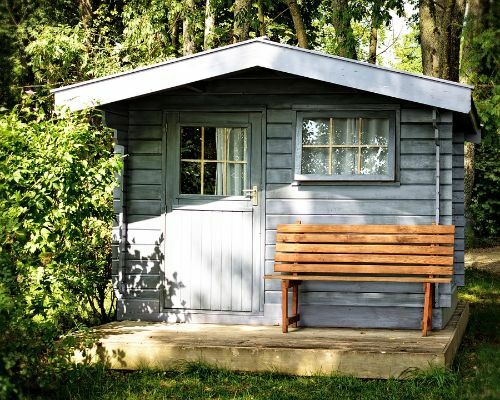 Would you pay £480 a month to sleep in a shed? Home / Help & Advice / Moving / Would you pay £480 a month to sleep in a shed? We all know that rents have gotten a little out of control in the UK, particularly in cities such as London where space is at a serious premium. And anyone who has ever rented will be familiar with the process of interpreting letting agent speak, where “cool vintage bathroom” actually translates as draughty bathroom with a cracked avocado bathroom suite. But, as the competition among tenants continues to increase at a much higher rate than the number of properties available for rent, it’s all starting to get a little bit silly. Evidence of this was recently featured in the media when one person looking for a flat share in East London found themselves looking not at a room but at a shed in a communal living room – for £480 a month. The advert for this hipster shed described the ideal flatmate occupant as “laid back, happy-go-lucky type that’s sociable [and] open minded” – and we think you’d have to be very open minded indeed to occupy this particular room (and pay for the pleasure of it). When we first saw this it seemed like someone was playing an early April fool’s joke but unfortunately this is a real room being offered for real cold, hard cash. It’s a sign of just how horrendous the London housing market has become and how rents have risen sharply over the past five years (a huge 22% for a one bed flat in Greater London, for example). The average UK rent is now £937 a month. This has also resulted in a number of very tenuous living arrangements – flat shares where all the rooms in the property have been converted into bedrooms so that there isn’t actually any shared space at all, for example, and a rise in the number of ‘beds in sheds,’ which are normally not even inside the building. And there are some pretty crazy options for cash strapped renters that border on the unacceptable. One property in Hackney – advertised for £250 a month – is being investigated by the council because the ‘beds in shed’ actually appears to be just a shed. The East London flat share mentioned above was advertised on spareroom.co.uk and the advert has now been taken down. It’s not clear whether that’s because a tenant has been found for the shed or whether the other tenants realised that what they were offering was really not a flat share at all, more like a dog kennel. The spareroom.co.uk website said that the flat share actually wasn’t within its requirements for rooms that can be advertised via the site – which are supposed to be independent so that flatmates shouldn’t have to walk through another’s bedroom to access communal space. At The Tenant’s Voice we think that this is a pretty good barometer for what should be considered a rent-worthy space – a lockable room that has access to the rest of the property without having to walk through another room. Oh, and which doesn’t resemble a shed. What do you think?